Ryan Kreidler picked the perfect time to get hot. 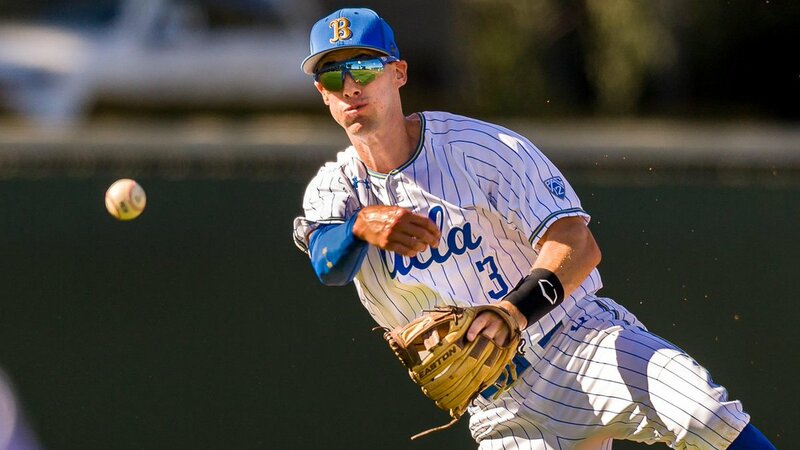 In just one-third of a season, UCLA 3B Ryan Kreidler is having his best year as a Bruin. More than likely, Kreidler has improved his draft stock immensely for this year’s pick-a-thon, which is a little over 6 weeks away. The 6’4” cornerman has a slugging percentage of almost .600 and has already set career highs in triples and will soon match his HR high with one more dinger over the next 35 games. In addition, his average and OBP also show marked increases of over 67% from his freshman and sophomore years. For Cub fans, the name might sound familiar. 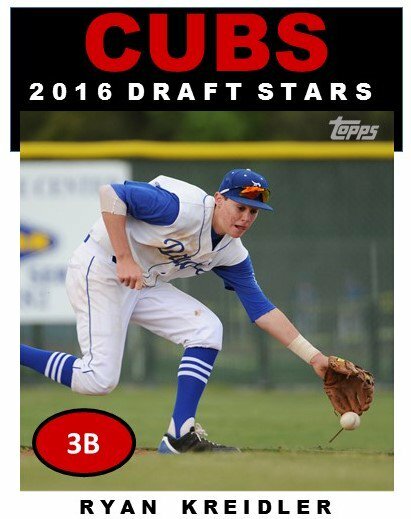 The Cubs drafted him in 2016 out of high school where he played mainly SS and was just 6’2” and 175 lbs. Now 6’4” and 208, Kreidler still has plenty of room to add 10-15 lbs and still remain a very fluid athlete. For the Cubs to re-draft Kreidler, they will need his permission. Over this past winter, Kreidler made a swing adjustment that resulted in his name rising as a prospect. As well, UCLA’s ascension to the top of the D1 baseball rankings is also helping his profile. As a freshman and sophomore, he hit .241/327/.351 and .222/.348/.33 respectively. Nothing there to write home about. Although, he did drive in 34 runs last year. Still, a summer in the Cape Cod playing SS showed that Kreidler needed to change something as he only hit .229. But it was in the Cape that Kreidler showed he could still play SS for Wareham, the league champions. That enhances his versatility. In looking at this video from 20/80 Baseball, Kreidler’s swing has not changed that much since he was a freshman. But he has. Adding 20 lbs. of what looks to be muscle has made a huge difference in his ability to drive the ball with authority. What impresses most about Kreidler is that he puts in the work to improve every year. Although the results were not there as a sophomore, things have all clicked in this year. He has always been praised for his potential. He’s always had good foundational tools like quick feet, good balance, and a plus arm. He also has that “baseball rat” persona, ala Nico Hoerner. as a guy who just lives and breathes baseball. His baseball IQ is said to be prodigious. 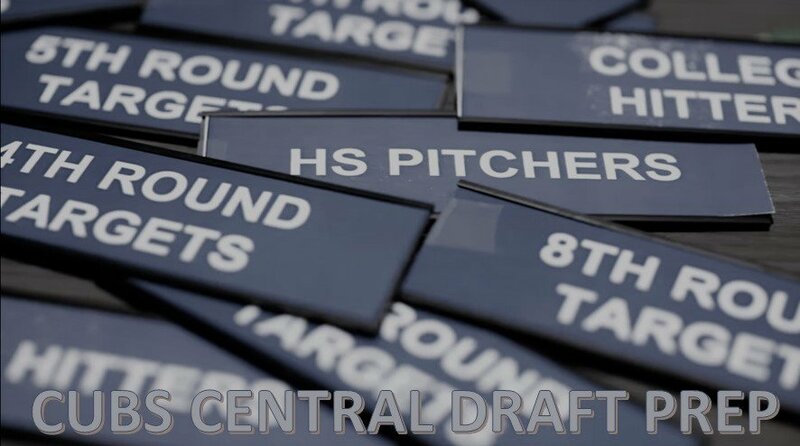 Add in that he can play two high profile infield spots very well only intensifies his profile. As for his current success, Kreidler just needed to finish filling out. Now at 21, the youngster seems to be on the precipice of a major league career. Currently, there’s 2/3 of a season left for him to continue to set career highs across the board. He should be a day two pick. However, things do change and he could sneak up to round 2 if he puts together a great run. More than likely, though, Kreidler should go in the top 3-5 rounds this summer.